You're not Dasher, Dancer, Donner, or Blitzen. 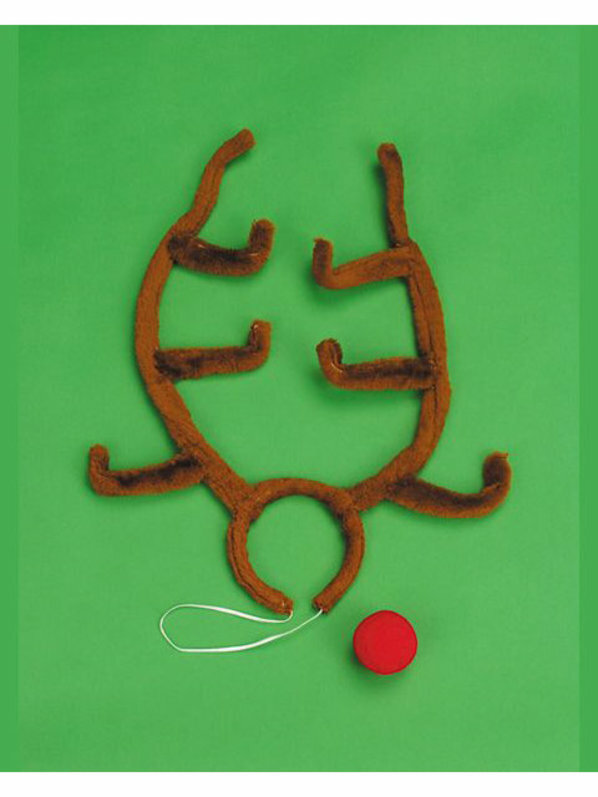 You're the head reindeer, and you can show it at the holiday party or around the Christmas tree with the Rudolph Antler Set. You'll get a set of tall, brown fuzzy antlers on a headband with an elastic chin strap, and even a bright red nose!